Tabletop with a straight edge is the worksurface portion of Lorell Electric Height-Adjustable Workstations. It fits on Lorell Quadro Sit/Stand bases with button controller for a more versatile way of working so you can alternate between sitting and standing. The bases (sold separately) come in black or silver. 1in. 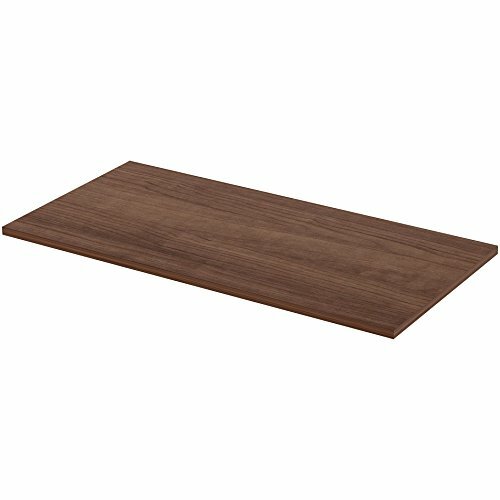 thick tabletop features a 3mm thick PVC edgebanding that matches the Walnut laminate finish on the top surface.